At its worst, finance leads to crises and economic dislocation and, yet, it's absolutely vital to solving many of the problems society faces today. MIT's Andrew W Lo introduces some of the best books on finance and explains how it can change the world for the better. You teach finance at MIT. For someone coming to the subject for the first time, what’s the most important thing to understand about it, in your view? I usually begin my introductory finance class by telling my MBA students that finance is the most important subject they’ll ever encounter in business school, and while my faculty colleagues in other departments may say the same thing about their field, the difference is that in my case, I happen to be right. The reason is simple. Virtually every major innovation in any industry—regardless of what it is, when it was created, or who created it—has one common denominator: at one point or another, it required financing. That means that finance is the very language of business, and you’re at a real disadvantage in conducting business if you’re not fluent in that language. Imagine the challenges of negotiating an important business deal in Germany with German counterparties if no one on your negotiating team speaks German! Finance is about how money makes the world go round, how it supports all kinds of economic activity, innovation, and growth. But, more importantly, it’s about how the uncertain future can be envisioned and financed by investors today. So I guess finance is really money plus mathematics plus uncertainty—the collection of concepts and tools that allow us to manage the resources that we have in the face of uncertainty. A lot of people think finance is a good thing to study if you want to get rich. Do you think it’s also something to pursue if you’re idealistic? Absolutely. Now, more than ever, the most important goals for society—cancer, climate change, pandemics, poverty, food shortages, or the looming energy crisis—require the sustained effort of many, many stakeholders and tremendous amounts of financial resources to be able to make real progress. But how do you coordinate the efforts of so many people over a long period of time and bring all these resources to bear on a particular problem? That’s exactly what finance is good at. Whether it’s creating a multinational company to implement geo-engineering solutions for extracting greenhouse gases from the atmosphere, offering microloans to people in need in rural communities without banks, or raising billions of dollars to cure cancer once and for all, finance plays a central role in focusing human and financial capital on the biggest challenges facing the world. Do you think that somebody who’s not good at maths can pursue finance as a subject? Certainly! In fact, it’s critical for those who aren’t necessarily numerically oriented to be part of the process. There’s a part of finance that’s very quantitative, but there’s an equally important part of finance that’s qualitative. We really need both. It’s like the left and right sides of the brain, the yin and yang of most important endeavors. You have to have a diversity of perspectives and skills to be able to make real progress. Why do you think finance has developed a negative reputation? Well, we’ve certainly had our share of bad actors in the financial industry. The Madoff Ponzi scheme and the LIBOR manipulation scandal certainly haven’t helped the industry’s reputation. But I think the bigger issue is the financial crisis of 2008, which we’re still dealing with today. The repercussions of that shock have pointed a very bright spotlight on certain kinds of financial excesses that have been associated with serious financial loss, unemployment, and dislocation. So there’s no doubt that the industry has created some of its own problems. But I think that by now, the financial industry has probably gotten more blame than it deserves and we may be at risk of cutting off our noses to spite our faces. It’s certainly true that there are bad actors in every industry, not the least of which is the financial industry. Nonetheless, that shouldn’t detract from the incredible importance that the industry plays in promoting economic growth and allowing us to achieve some of the most important social priorities. Of course, people in the financial industry were closest to the crisis. It’s very easy to blame the messenger, and in this case, the messenger is partly to blame. But there are many other sources of blame, including the fact that the financial system is now much larger and more complex than ever before, and we haven’t yet developed the tools to regulate it effectively. We need to be careful not to overreact and reject finance when, instead, we really should be working harder to improve it. So let’s go through some of the books you’ve chosen. So number one on your list is an oldie, The Worldly Philosophers (1953) by Robert Heilbroner. This book looks at some of the famous economists in history. Tell me a bit about why you like it and why you put it on your list as a way of understanding finance. First of all, I should say that the list I constructed is ordered chronologically—not necessarily when the books were published, but rather when I first encountered them. 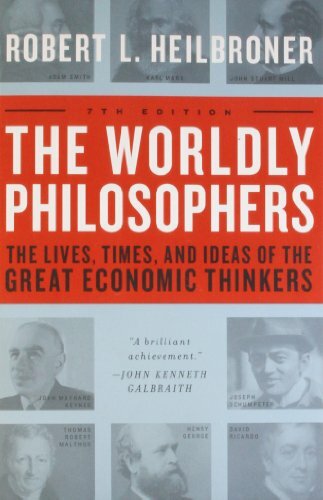 The Worldly Philosophers was my very first exposure to economics and finance. Up until then, I thought the subject was about balancing your checkbook, which seemed pretty boring to me. This book really opened my eyes to the fact that there’s some very deep and beautiful logic underlying the economy, and financial markets and institutions especially. There are some things about the economic world order that we can understand. And not only can we understand them, we have the power to tap into the forces of self-interest and the profit motive to achieve certain goals. That seemed incredibly exciting to me. Also, I had never really connected economic ideas with other sciences. For example, in this book, you find Thomas Malthus, who was responsible for economics becoming known as the ‘dismal science’ because of his argument that populations grow geometrically and food supplies seem to grow arithmetically, hence we’re all bound to starve to death. Fortunately, Malthus was mostly wrong in his predictions (at least so far), but it was one of the first examples of connecting human biology to economic considerations. In fact, Charles Darwin, perhaps the most influential scientist in recorded history, acknowledged Malthus’s Essay on the Principle of Population as an inspiration for his formulation of the theory of evolution. So The Worldly Philosophers was really my first exposure to economic science as a legitimate field of study, one that had some really important and challenging questions that could actually be answered through scientific means. Give me another example from the book, something that stuck in your mind and particularly grabbed you at the time. Well, the description of Marxism and the Marxian dialectic struck a chord. We take it for granted that Marx was a radical, a disruptive rabble-rouser who just wanted to see revolution occur. But when you read about the particular social, cultural and economic milieu in which he lived, you begin to understand how his ideas emerged quite naturally and justifiably. Marx was shaped by the some of the very negative social consequences of the Industrial Revolution, like the systematic and wholesale exploitation of children as a source of cheap labor. So Marx’s labour theory of value wasn’t developed in a vacuum, but out of necessity in the face of very obvious human suffering. Heilbroner told fascinating stories of how all of these important ideas emerged, not randomly or out of the antiseptic world of academic theories, but from specific social and environmental contexts that were driving societies at the time. So what were you studying at the time when economics suddenly became interesting to you? Were you already at college? No, I was in high school when I got my first taste of economics, and when I was actually dead set on a career in the sciences. I went to the Bronx High School of Science in New York City, which is a specialized public school focused on science, technology, engineering, and maths (STEM). The school was tuition-free for any New York City resident, but you had to pass an entrance exam to be admitted, so it drew a very diverse pool of students from all five boroughs who shared an interest in STEM. I really blossomed at Bronx Science and just assumed I would pursue an academic career in math, physics, biology, or possibly computer science (computers were just becoming available at the time and we had a beautiful IBM 1620 mainframe to play with). It was a wonderful educational experience, but I started getting the sense that STEM wasn’t focused on the same magnitude of issues that these worldly philosophers took on. So that was the beginnings of my interest in economics. It wasn’t an immediate connection, just a small spark of curiosity and interest. I read Worldly Philosophers as part of my social studies class, still planning for a career in STEM, but that spark eventually turned into a large wildfire that still drives me to this day. Okay so let’s go on to your second book, which is Burton Malkiel’s A Random Walk Down Wall Street (1973). Tell me about this book and how it fits into your recommendations. As a college student, I hadn’t really considered majoring in economics. My plans were still squarely focused on STEM, but I needed to take a course to fulfill my distributional requirement in the humanities. So I ended up taking an economics course taught by a very charismatic professor—Saul Levmore—and one of the books he assigned was Malkiel’s A Random Walk Down Wall Street. I had never been interested in investing, but having learned about the ‘random walk’ in mathematics, the title intrigued me. 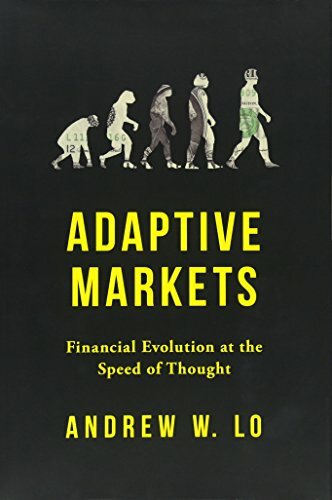 It’s a wonderful read because it doesn’t presuppose any background knowledge of economics or finance, and it really takes the reader by the hand through some fascinating aspects of the field, including bubbles, crashes, and whether you can beat the market systematically over time. I just loved it. It was the first time that I developed a real appreciation for finance as an intellectual pursuit with some really subtle and important questions that you could answer using some fairly advanced mathematics. After that great experience, I decided to take another economics course—this time with an even more charismatic professor, Sharon Oster—and that course put me over the edge, convincing me to major in economics and apply to graduate school for my Ph.D. This book was first published a while ago and it’s been through I don’t know how many editions. But it’s still something you would recommend to students now, is that right? That’s the amazing thing—it’s had so much staying power. It was written in the 1970s, a bestseller when it came out, and it’s still a bestseller now. I recommend it to my MBA students today because it’s just a wonderful introduction to the field of finance. At the same time, it provides some very sensible advice for investors about how to manage their own money. 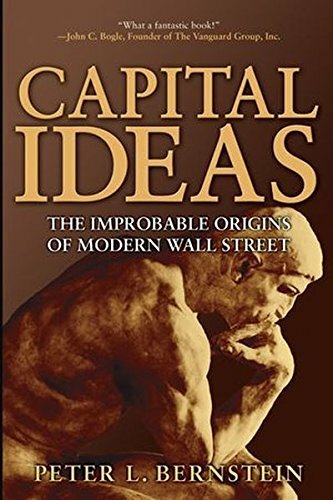 Let’s go to book number three on your list which is Capital Ideas: The Improbable Origins of Modern Wall Street by Peter Bernstein. Tell me about the book and what you like about it. So this is another book that’s written along the lines of A Random Walk Down Wall Street, except that the book isn’t just about great financial ideas, but also about the people who developed them. You read about financial legends like Paul Samuelson, Fischer Black, Myron Scholes and Robert Merton—all the architects of modern finance—and you really feel like you’ve met them after reading Bernstein’s beautiful exposition. He turned what otherwise could have been a rather dry and sterile subject into a living, breathing, all-too-human endeavor. By writing about the subject from the perspective of the individuals who invented these wonderful theories, he turned academic finance into a much more exciting and personal pursuit for me. Does the book also explain the theories in a way that the average reader can understand? Exactly. Bernstein describes the beginnings of financial market analysis by asking whether or not stock prices are predictable. He explains the random walk hypothesis and then introduces us to the various academics who attempted to predict the stock market using the fanciest statistical tools of their day and, ultimately, in the hopes of making money. And he also introduces us to those who lost money! Along the way, Bernstein provides a running narrative of the most important academic theories like Harry Markowitz’s portfolio optimization framework, Bill Sharpe’s Capital Asset Pricing Model (CAPM), and then, of course, the Black-Scholes/Merton option pricing model, the crowning achievement of modern finance. So have a lot of the financial instruments used on Wall Street originated with finance professors? Certainly the way that they’re analyzed and priced have come from academic research. The option pricing model of Black, Scholes and Merton is a good example. Financial options had been around for centuries, but it wasn’t until 1973 that a formal exchange for options was established, the Chicago Board Options Exchange. In that same year, Black and Scholes and, separately, Merton published papers describing how to price and hedge these exotic securities. Pretty much overnight, their papers turned these esoteric instruments into well-understood objects that could be managed quantitatively. So 1973 was a pretty key year. Shortly thereafter, Texas Instruments introduced the very first programmable calculator, and one of the first things that these calculators were used for was to price options on the floor of the Chicago Board Options Exchange. So you have the confluence of new financial institutions, new financial theories, and new technology that all came together to get this market off the ground, a remarkable case of serendipity. It’s mushroomed since then, and we now have many trillions of dollars of options and other derivative securities traded each year. These academic ideas played a central role in helping investors to value derivatives and, more importantly, to manage their risks. And I suppose that’s why he talks about the ‘improbable origins’ of modern Wall Street. Yes, it’s rather strange that academics would have played—and continue to play—such an important role in financial markets. You wouldn’t expect that academic finance would have much of an impact on practice, simply because business is business and academia is academia. In many other fields, there’s a pretty clear separation. But, in this instance, you had individuals without a lot of business experience, or interest in business, coming up with ideas that ultimately gave rise to multi-trillion-dollar global industries. What other academics and models does he talk about? In addition to the Black-Scholes/Merton option pricing model, Bernstein introduces readers to an idea that’s become central to how corporations manage their businesses, and that’s Bill Sharpe’s CAPM. This remarkably simple yet powerful model captures the intuition that there should be a trade-off between risk and reward. We all have the sense that when you take on greater risks in the stock market, you need to get rewarded for bearing those risks. So if you put your money into a tech startup, that’s going to be much more risky than if you put it into a company that’s been around for a hundred years, like IBM. And because the risks of smaller startups are much higher, the average rates of return of those companies will have to be higher than those of IBM, otherwise who would want to invest in them? That’s the basic idea behind the CAPM, except that the model gives us a quantitative relationship between risk and reward—it tells us just how much the reward needs to be for investors to be willing to hold a certain amount of risk. Using Sharpe’s formula, investors can very quickly assess whether an investment is sufficiently attractive given its risk level, and it’s also incredibly useful in helping corporations evaluate new projects and make go/no-go decisions. Once you measure the risk of a project, you can calculate the required rate of return of that risk and then use that cost of capital to determine which project to take and which to avoid, all thanks to Bill Sharpe. So is there some overlap between Capital Ideas and A Random Walk Down Wall Street? There is, but the difference is that Capital Ideas focuses on the academic origins of these ideas, whereas A Random Walk is really just focused on the more practical aspects. Bernstein gives us the backstory of how the most important financial models were first developed by particular academics. And then, nowadays, you’re trying to finesse some of those ideas, is that right, with your work on adaptive markets? Yes, my current research is focused on showing why and how some of these ideas need to be modified to take human behavior into account in a more systematic way. Most of the framework of modern finance presupposes that individuals act rationally, always and everywhere trying to maximize expected utility subject to a budget constraint in markets that are constantly in a state of equilibrium (in other words, where supply equals demand at all times and for all markets). That paradigm works sometimes, and in many cases it works quite well. But, every once in a while, humans end up acting emotionally rather than rationally. So the framework I propose—which I call the Adaptive Markets Hypothesis—offers a way to reconcile human behavior with this rational framework by applying the principles of evolution and ecology to humans engaging in financial decisions. This approach goes a long way towards resolving some of the anomalies that psychologists and behavioral economists have used to criticize financial models like the CAPM. So let’s move on to book number four. This is called Continuous-Time Finance (1990) and it’s by the Nobel Prize-winning economist Robert Merton. Tell me about this book and why it’s on the list. This book is definitely not a light read for the typical reader, but I really had to include it among my five because its author, Bob Merton, has had an enormous impact on my career. When I was a first-year economics graduate student, I was actually quite discouraged about economics. As an undergraduate, I had studied a lot of mathematical economics and while I enjoyed it and was reasonably good at it, I became somewhat disillusioned by all the fancy mathematics applied to situations with relatively unrealistic economic assumptions. This kind of economics didn’t seem especially relevant to the real world, and it was the relevance of The Worldly Philosophers that drew me to economics in the first place. At its worst, economics sometimes seemed like it was about asking how many angels can dance on the head of a pin, not about doing something that could improve people’s lives. I was willing to suspend my disbelief until graduate school because I thought that, as an undergraduate, I might not have the tools to deal with the kinds of things that are more realistic, and perhaps more challenging. Even though I’d taken a first-year graduate course as an undergraduate and found it to be much the same as my other classes, I was still hoping that graduate school would be different. But I quickly realized during the first semester of my first year as a Ph.D. student that this wasn’t the case. What we were learning was exactly the same things I had covered in college, maybe with slightly more mathematical formalism, but with no more relevance than before. So, after the first semester, I reluctantly filled out an application to law school and planned to withdraw from the economics PhD program at year end. By chance, one of my high school classmates who was a student at MIT suggested that I cross-register for a finance course being taught at the MIT Sloan School. 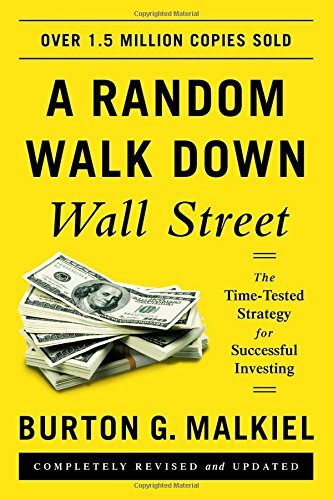 At the time, I had no idea what finance was, other than what I read in Malkiel’s book in college, but I remembered how interesting the random walk was when applied to predicting the stock market. I had never heard of the faculty member who was teaching the introductory finance course at MIT—someone named ‘Bob Merton’—but given how easy it was at the time (and still is) for Harvard students to cross-register for MIT classes, I decided to give it a try. I was just blown away. In the first two or three lectures, it became clear to me that this is exactly what I was looking for: rigorous mathematics and beautiful theory applied to some very real and important problems. After two weeks, I decided that I wanted to be a finance professor and forgot about law school. I didn’t realize until much later that Bob Merton was a pretty special individual; at the time, I just figured that all finance professors were like Bob, and that’s what I wanted to be when I grew up. I now realize—as does everyone else in our profession—that Bob’s approach to finance was unique. He applied some extraordinarily sophisticated mathematics to some very practical problems, like pricing options and other derivative securities. And more than any other academic that I’ve ever come across since then, Bob showed me that finance could be a science in every way as rigorous as biology or physics. And in every way as practical. So that’s what drew me into the field. Ultimately, Bob became a role model and mentor to me and his book, Continuous-Time Finance, really embodies his contributions to financial engineering, a field he created almost single-handedly. And that term, financial engineering, really has meaning to me. I know it’s used in some circles pejoratively, but what Bob did was to demonstrate that finance is a science so precise that it does lead to engineering, meaning you can actually apply it to solve important problems in the financial industry. That’s why I had to put this book on the list, despite the fact that it’s probably not for the average reader. It does have lots and lots of equations and it’s a very challenging book that I continue to learn from. So this book is more for somebody who is really serious about going into finance. Would this still be the best book (or one of the best books) to read about it? Indeed, it would. Anybody who’s pursuing a career in the financial industry—creating new financial securities, new ways to price and hedge them, or new business structures for investors—will need to be familiar with this book. My guess is they’ll already own copy with a lot of dog-eared pages. 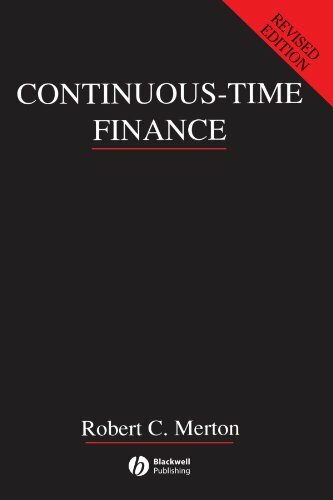 What is meant by ‘continuous-time finance’? The title highlights the new approach that Bob introduced to modeling financial markets. He used the kind of mathematics known as ‘stochastic calculus.’ The easiest way to explain it is to start with the observation that, prior to Bob, most economic models of financial markets (or any other kind of market) measured time at discrete intervals—day 1, day 2, and so on. The much more difficult alternative is to model time as flowing continuously so there’s an infinite number of possible time points in between day 1 and day 2 when a trade can occur. In a continuous-time world, events can be arbitrarily spaced apart from each other, three-and-a-half months or 145 hours or a 1000 picoseconds. The distinction between discrete and continuous time may seem minor, but it turns out that the mathematics of continuous-time economies is actually quite different than that of discrete time. It requires an entirely new arsenal of mathematical tools that Bob developed, in many cases from scratch. He relied on other mathematicians for some of those tools, but the way he applied them was original and had never been done before in the history of the social sciences. He opened up whole new areas of research by simply acknowledging that time flows continuously and that, using stochastic calculus, we can model the behavior of financial markets in a variety of economic environments. One of the many by-products of this new approach is the ability to come up with elegant pricing formulas for many complex securities, like options. Using this powerful framework, Bob pioneered a number of other important breakthroughs in financial economics, and the foundations of these breakthroughs are all contained in Continuous-Time Finance. 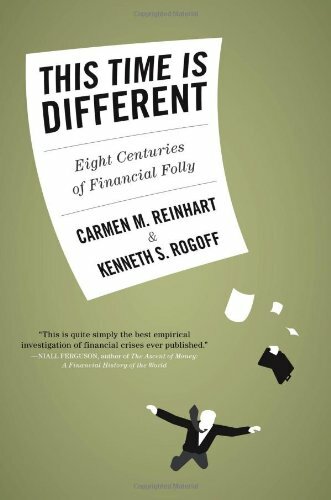 We’re now at the last book on your list which is This Time is Different (2009) by Carmen Reinhart and Kenneth Rogoff. Tell me why this book is on the list. Choosing this last book was really a struggle; there are so many I wanted to include. For the fifth book, I felt it was important that it be about the financial crisis because the first four books illustrate the origins, beauty, power, and relevance of finance, so this one should provide some balance by illustrating the potential dangers and devastation of finance. It turns out that there are lots of books out there with this perspective, I guess because there are so many ways we can get ourselves into financial troubles. But you only allowed me five books, so I chose one that I felt would best represent the issues that lie at the heart of financial crisis. It’s This Time Is Different by Carmen Reinhart and Ken Rogoff, a book that covers about 800 years of financial crises. I chose it not only because the two authors are highly accomplished economists, but also because they also took an enormous amount of time to put together datasets that allow us to look back eight centuries and ask, quantitatively, whether there are any common denominators to financial crises? And the not-surprising answer is, ‘Yes, absolutely.’ We know that Homo sapiens is at the core of all of these crises and human behavior really hasn’t changed that much in 800 years, even though many other things about our world have changed. And that’s part of the problem. Technologies have advanced very rapidly, but our ability to manage those technologies has not kept pace. Nowhere is this more clearly illustrated than in Reinhart and Rogoff’s book. They show that financial crisis is almost unavoidable. They provide a sobering look at how economies systematically expand unsustainably, and then we all pay the price in the aftermath of the inevitable collapses. This boom-bust pendulum swings back and forth—in some countries, on multiple occasions within a given lifetime. The hope is that once we understand this kind of a cycle—and Reinhart and Rogoff do a great job of documenting it and helping us understand its origins—we can then begin to develop the policies and practices that will allow us either to avoid them in the future or at least better prepare for them and their most severe aftershocks. On Five Books, when people have recommended books on financial crises they’ve often mentioned Charles Kindleberger’s book, Manias, Panics, and Crashes: A History of Financial Crises (1978).­ Are you also a fan of his book? I am. In fact, that was one of the books on my short list and had you allowed me six or seven books, that would have been among them. But if I had to pick only one book on financial crises, it would be Reinhart and Rogoff, for the simple reason that Kindleberger’s wonderful book is mainly a series of cautionary tales. And those tales are important. But, at the end of the day, they’re still just stories. Reinhart and Rogoff give us much more: a systematic study of crises, with real data that can tell us where we are in that cycle of fear and greed, where are we in terms of, say, the debt-to-GDP ratio, and how likely is it that a ratio of five is going to get us into trouble versus 12 or 15 or 50? The importance of data is not nearly as strongly emphasized in Kindleberger’s book, or in Charles Mackay’s book, or in any other book on financial panics, crashes, manias, bubbles and bursts. Reinhart and Rogoff raise the level of discourse about financial crises to an entirely new level, where we can start to study these kinds of phenomena systematically. Only through this kind of forensic analysis will we eventually be able to develop tools and policies to break out of these cycles. And are you at all optimistic that there’s work being done at a regulatory level to ensure it won’t happen again? No, I’m not confident of that at all. In fact, I feel like we may be going backwards, now that the pendulum has swung back toward deregulation. As you probably know, there have been a series of attempts to dismantle parts of the Dodd-Frank Act, including the Volcker Rule and the Consumer Finance Protection Bureau. Many of the things that we started to put in place in 2008 are systematically being undermined or rolled back. And I’m not going to blame any one administration. I think it’s human nature, regardless of who’s president or who’s in Congress. Immediately following a crisis, everyone’s very concerned about it, we focus on it, and try to deal with it in many different ways. But over time, we tend to forget. It’s now been a decade since the financial crisis; the stock market is up, unemployment is down, GDP growth is strong. We seem to be doing great, so why worry about imposing tougher regulations a perfectly well-functioning financial system? In this kind of a salutary environment, it’s just too easy for us to sit back and enjoy it, and not worry about crises. That’s a mistake, but it’s human nature. And until and unless we have another crisis, I think it’s going to be very difficult for us to make genuine progress. There are those of us in academia, in government, and even in parts of the financial industry who might be continuing to focus on this as an issue, but we’re in the minority at this point. It’s much easier to be a cheerleader for a growing economy than to be a naysayer. So I think it’ll take another cycle of boom-and-bust before we start to develop systematic ways of dealing with crises on a more permanent basis. You write books, you teach, but you also want to use finance in a practical way to help change the world. Can you tell me a bit about what you’ve been trying to achieve on that front? My most recent research involves applying financial engineering tools to deal with some of the biggest challenges facing society, like cancer. A few years ago, a number of friends and family of mine were dealing with cancer of one sort or another and in trying to be helpful to them, I began learning more about the disease. That process brought me to some literature on the business aspects of cancer drug development. It became clear to me that one of the bottlenecks in this industry is lack of funding at the early stages of drug development, and that’s an area where finance can make a difference. By way of background, drug development is a long process that starts in the laboratories of scientists and clinicians at universities and academic medical centers. To go from an idea for a new drug to FDA approval requires a lengthy process of preclinical work and then testing in humans, which is spread out over phases 1, 2, and 3, each phase involving progressively more patients, and where testing progresses from one phase to the next only if the previous phase shows that the drug candidate is safe and effective. In many cases, this whole process can take 10 to 15 years, thousands of volunteer patients, and cost hundreds of millions to billions of dollars to develop a single FDA-approved drug. There’s plenty of money in the pharmaceutical industry to pay for phase 3 clinical trials because by the time you reach phase 3, you’ve got a pretty good sense that your drug candidate is safe and effective, so a lot of the risk has been reduced. But money at the very earliest stages of university R&D and phase 1 trials is much harder to come by because the risk of an ineffective drug with toxic side effects is greatest at this stage. Money is so hard to come by that the industry calls this stage the ‘Valley of Death.’ So how do you cross this Valley of Death? From a financial economist’s point of view, the answer is actually pretty simple: reduce the risk of early-stage drug discovery. And one tried and true way of reducing risk is by combining “multiple shots on goal,” to use a hockey or soccer term. You combine a number of these projects into a single financial vehicle, allowing investors to invest in not just one or two projects but in a much larger pool of projects at the same time. Although the chances of any single drug candidate succeeding is quite low—in cancer, it’s about 5%—with a large enough portfolio of candidates, you’ve got a very high chance of getting at least one or two winners. And all you need is one or two winners to pay for all the trials in the entire portfolio, with a lot of profit left over. These ideas sound great but are they really practical? And can they be applied to other problems facing society? I believe they are practical, but that remains to be seen. Over the last few years, I’ve started developing these ideas in a more concrete way. I’ve published a number of papers showing what kind of returns are possible if you combine these multiple shots on goal, and the results look quite promising in areas like cancer and rare diseases. Some of these ideas have started getting traction in the last couple of years, and through these new business models and financing structures, more funding is now coming into the system to help scientists and clinicians cross the Valley of Death. On the other hand, for certain other diseases like Alzheimer’s or infectious diseases, the numbers don’t look nearly as attractive so some type of government support will be needed to deal with those challenges. This is the area I’m most passionate about right now, but the same tools can be applied to a number of other big challenges like climate change, energy, poverty—any problem that requires large amounts of funding at the outset, takes a long time to pay off, is very risky in the sense that the probability of success is very low, but where the payoff is extremely high in the event of a single success. Financial tools like portfolio theory, securitization, credit default swaps, and other derivative securities are ideally suited to deal with these long shots, and we need to be taking more long shots, not less. Contrary to popular impressions, finance doesn’t have to be a zero-sum game if we don’t let it. With the right financial structures, it’s possible to do well by doing good, and we can do it now.